With this Great Eastern-Hyundai Singapore Premier League fixture between Home United Football Club and Hougang United Football Club (HGFC) together with the one I saw a day earlier, I would say if we are to depend entirely on this league as our main source for the team playing in the AFF Suzuki Cup, the panic button should be pressed by now. 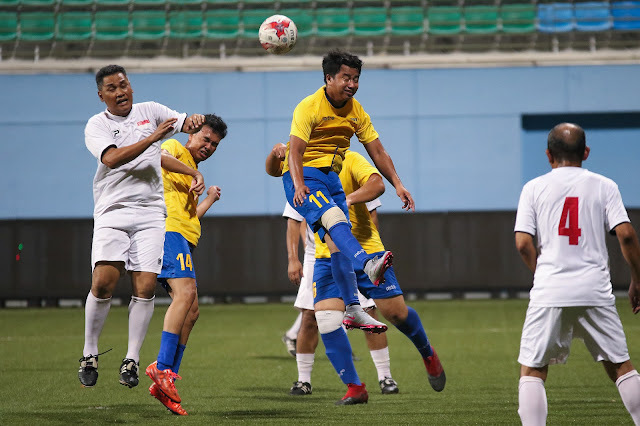 This friendly match between Ex International Legends and SCRC from SMRT was played at the Jalan Besar Stadium. 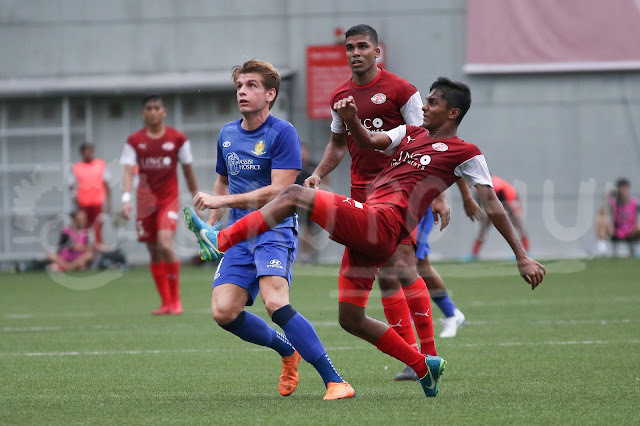 The former is preparing for the upcoming The Sultan of Selangor's Cup in late August while the latter is gearing up for the GSFL season. Additional photos from Mr Yusof Ibrahim. 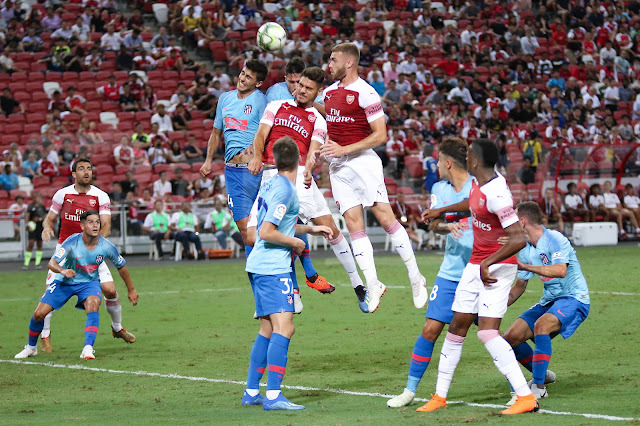 Atlético de Madrid got off to a good start in their ICCSG (International Champions Cup) campaign by beating Arsenal on penalties after the match ended 1-1 at full time at the Singapore Sports Hub in front of a crowd of 23,095. 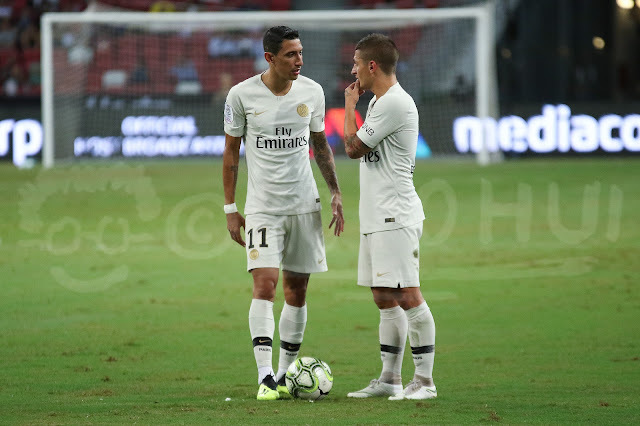 "Gee, what was the free-kick routine?" Virgiliu Postolachi's goal ensured PSG - Paris Saint-Germain ended their Singapore trip ended with a win and a defeat after they beat Atlético de Madrid 3-2 at Singapore Sports Hub to wrap up this year's International Champions Cup - Singapore tournament.